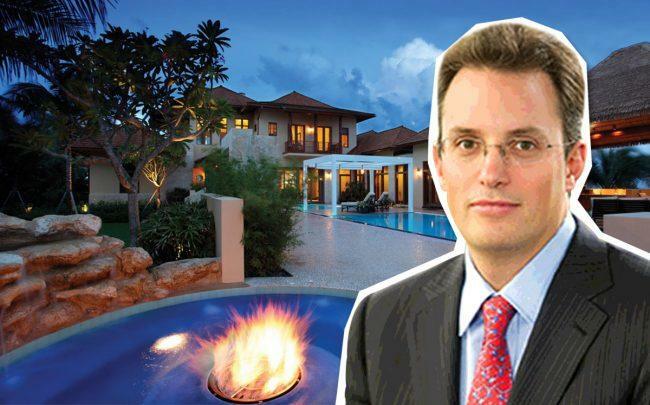 Fifth Street Asset Management’s founder Leonard Tannenbaum bought a Manalapan estate for $14.2 million after it was acquired by Goldman Sachs through foreclosure. Tannenbaum bought the 10,287-square-foot mansion, known as the Acqua Liana, at 620 South Ocean Boulevard for $1,380 per square foot, records show. The home sits on a 1.8-acre lot and has seven bedrooms and 10-and-a-half bathrooms, records show. Pascal Liguori with Premier Estate Properties represented the seller in the deal. Lawrence A. Moens represented the buyer. Goldman Sachs acquired the home in March after its former owner, Houston oil executive William Kallop, ran into financial trouble and couldn’t pay the $17 million he owed the bank on an original $21.2 million mortgage. Goldman Sachs also seized other assets owned by Kallop, including a 217-foot yacht in 2017 that was once listed for $60 million, according to the Wall Street Journal. A company tied to Kallop paid $15.5 million for the Manalapan property in 2010, records show. The home was built in 2009. The mansion was previously listed for $26.5 million in 2015 by Lawrence Moens with Lawrence A. Moens Associates then re-listed in 2017 by Pascal Liguori with Premier Estate Properties for $19.9 million, according to Redfin. Tannenbaum founded Greenwich, Connecticut-based Fifth Street Asset Management, which owned more than $4 billion of corporate loans and other investments when it was purchased in 2017 by Los Angeles-based Oaktree Capital Management for about $350 million, according to the Wall Street Journal. Manalapan, situated between the Intracoastal and the Atlantic Ocean, has some of the priciest and most desirable residential homes in the country. The entire town of Manalapan (about 10 miles south of the town of Palm Beach) is only about 2.5 square miles and has 426 residents. A number of celebrities and billionaires have bought homes there, including motivational guru Tony Robbins, New Age musician Yanni, boxing promoter Don King and Billy Joel. In January, a member of the family that founded General Motors paid $5.17 million for 8,677-square-foot house on Lands End Road.